The Osmio Flow Max 20 Micron 4.5 x 10 inch Pleated Cartridge outperforms wound, spun, melt blown, resin bonded and other "depth" type filter elements. This is due to the chemically resistant pleated polyester media which provides increased surface area and longer life. 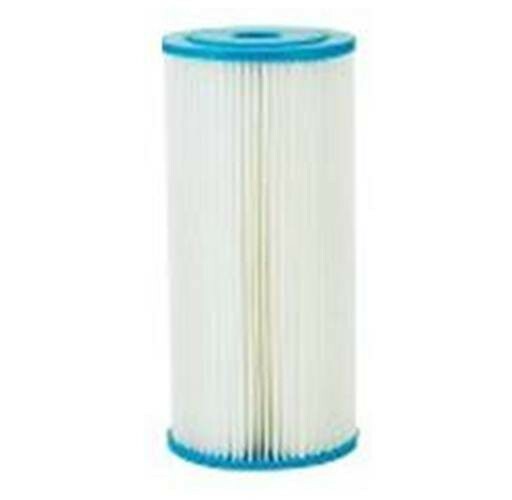 This Watts Flow Max 10 x 4.5 inch Pleated Cartridge is cleanable and filters to 20 microns. 100% cellulose free synthetic media for increased dirt holding capacity, longer life, and reduced filter costs. No additives or binders. or binders to foam or contaminate.